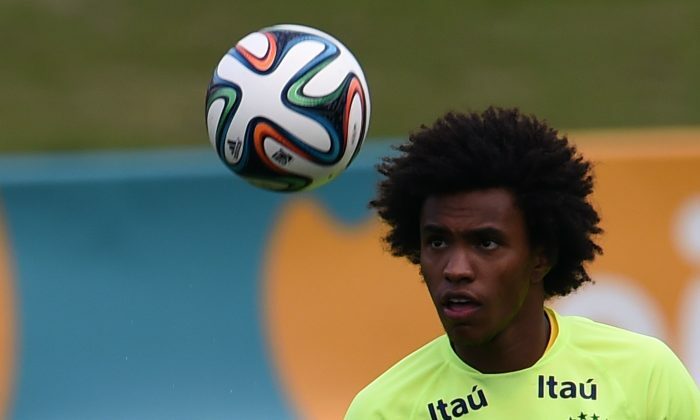 How did Willian fare at Chelsea last season and how does he rate in FIFA 14? The 25-year-old Brazilian attacking midfielder joined Chelsea from Shakhtar Donetsk in the 2013/2014 season. Willian made 29 appearances for Chelsea, 8 as a substitute, scored 4 goals, and provided 4 assists, according to WhoScored.com. In FIFA 14, EA Sports’ popular football simulator, Willian has a rating of 83, and has a growth potential of 3 in Career mode, according to Futhead.com. In Ultimate Team, Willian also has a rating of 83.